Keeping your Mac clean is an important thing to do. This way, you will be able to maintain the speed performance of your Mac and as well as having more space on your hard disk. This is also one habit for you to be able to prevent any threat of danger towards you Mac. 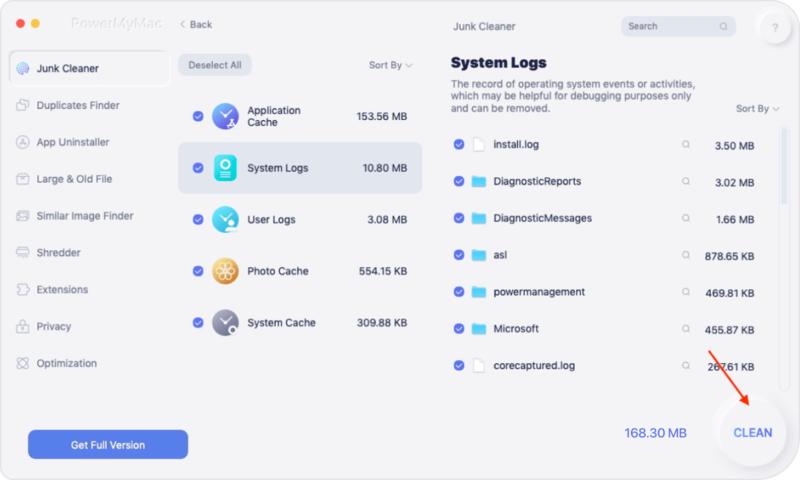 There are several things that you have to considered to be clear out on your Mac and one of them is your system junk file. In this article, we are going to show you how to clear system junk on your Mac device. Part 1: What is System Junk File? Part 2: What are the components of System Junk on Mac? There are a lot of files on your Mac, we don't even know most of these files, because we don't even use them, so we don't know how to clear system junk. These files are called “system junk”. It contains the following. • Development Junk, and more. Let's continue to delve into some of the data on the Mac that contains system garbage so that we can clear system junk on Mac. Most people would like browsing the internet, watch some videos, or read news using our Mac. However, only a few know that once you use your browser, it saves your browsing data on your hard drive automatically. Once that you visit the same site, the data was already been saved for you to be able to open it in the future quickly. This means that the data that has been saved on your hard drive is taking up space on your hard disk. All of your messages, text files, and other information that you can see on your screen when you are using your Mac is actually saved in a folder. This will help your Mac to translate that information into another language. Language files are actually used so that an application will be able to support other languages. However, most of these languages are the ones that you do not actually need. Once that you have installed and then removed applications, as well as viewing websites and installing games on your Mac, it actually takes up space on your hard disk. These are called your development junks. These type can actually become a cause for your Mac to slow down on its performance. There are also instances that these files are invisible and is stored in a hidden folder. This is actually a record of the activity of your application, service or process. However, there is a big chance that your log will start piling up information that you do not need. If you are one of those users who seldom send a crash report, then you can go ahead and clean up your user log so that your applications will have a better performance. Doing this can also save you more space on your hard drive. This data comes in a set of files associated with an application package. This has the ability to run your Mac in two different types of architecture. These types are Intel and PowerPC. However, your Mac only uses one of these two types. This refers to an application or a process which actually launched during the startup of your Mac. Now, once that you remove a certain application or a service on your Mac, it actually leaves a broken link behind. These broken links are your broken login. These items do not have any important use on your Mac and this having these piled up can take up some of the valuable resources of your Mac. Preferences are files that are commonly found on the content of your application. They are responsible for keeping the parameters which tell an app on how they can operate. But, as time passes by, these type of files can become corrupted and because of this there are problems that can occur such as application crash, corrupted hard drive or a sudden blackout. So, if you would want that the applications on your Mac will work properly, make sure that you remove these broken preferences. There are also instances that once these files are all piled up throughout the months or years that you are using your Mac, there is a high chance that your Mac will run slow or worst, it can become frozen. If you are into making your own application, then you also know that XCode and all its supporting apps can start to pile up and can take up a huge amount of space on your Mac. Because of this, the best way for you to do is to clean up your Derived Data, Module Cache, and more. In doing this, you will be able to free up more space on your hard disk. This consists of files that are actually found on your Photos Library. This can be found in a folder which is called iPod Photo Cache. This happens when you try to sync your photos to your iPhone, iPad, or any of your iOS device, then iTunes will create this folder automatically. This is where your caches are stored. This is files wherein it contains all the activities or events that take place using your Mac. An example of which is your username, application error, and more. 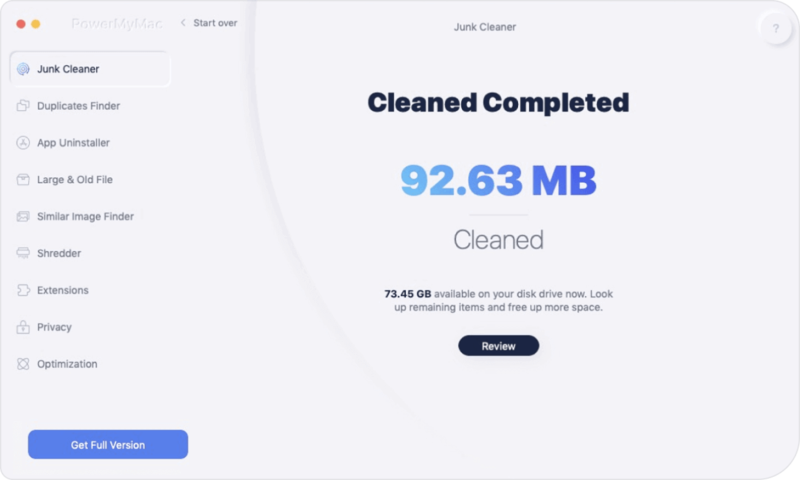 If using the Terminal on your Mac is not your option, then we have another way for you to be able to clean up your system junk easily and effectively. This is by using the iMyMac-Cleaner. The iMyMac-Cleaner's Mac Cleaner is the best way to remove those system junks in just a few minutes. 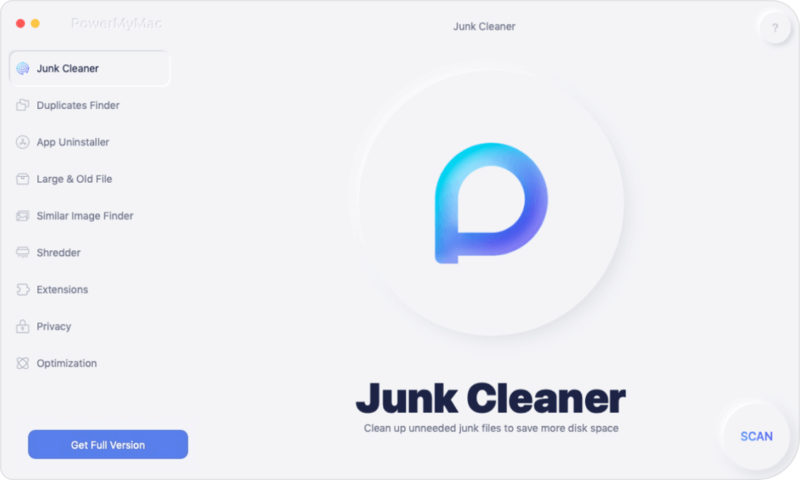 Not only that, it can also help you clean up all the junk files that you no longer need on your Mac which are actually eating up your space for storage. The iMyMac-Cleaner can also help you de-clutter, and scan and remove your large and old files. It can also help you get rid of the email attachments that you do not need, your iTunes backup, and your multi-language. This program is guaranteed to be safe, easy, and effective to use. Here is how to use the iMyMac-Cleaner for you to clear out your system junk files. Go to our official website at www.imymac.com and then hit on the download button for you to get the program. Once that you have downloaded the iMyMac Cleaner, go ahead and have it installed on your Mac. Then, launch the program once you have completely installed it on your Mac. On the main screen of the program, you will be able to see your Mac’s system status. You will also see on the left side of your screen a list of modules that the iMyMac-Cleaner can do. From that list, go ahead and click on “Junk Files”. Once that you have selected the modules, go ahead and hit on the “Scan” button so that the program will be able to find all the junk files that you have on your Mac. Once that the scanning process is complete, the iMyMac-Cleaner will then show you all the junk files that you have on your Mac in categories. You can also try to select the “Rescan” button if you would want to make another scan on your Mac. As what you can see on your screen, all the junk files that you have on your Mac will all appear by category. You will see their categories such as Application Cache, Photo Junks, Mail Junks, System Logs, User Logs, System Junks, Trash Bin, and more. From the list of categories, go ahead and locate and select “System Junks”. Once that you select that, all the data that it contains will appear on the right side of your screen. After that, go ahead and click on the “Clean” button. The iMyMac-Cleaner will also ask you to confirm the action so all you have to do is to click on “Confirm” from the pop-up window that will appear on your screen. Then the program will then start cleaning up your system junk file. Step 4: System Junk File – Cleaned! Once that the iMyMac-Cleaner is done with the cleaning process, it will then display the same category on your screen and you will be able to see an indication that says “Zero KB”. This means that your system junk file is all clean. Method 2: Clear Out System Junks Using Mac’s Terminal. Using Terminal, you can actually set up a cleaning schedule on your Mac. This cleaning up process will depend on how many would you want to keep your Mac cleared out its junks. Here is to do this using terminal. Step 2: After that, go ahead and type in the following – sudo periodic daily, sudo periodic weekly, sudo periodic monthly. Step 3: You can choose from one of the following things that you want to type in depending on how often you would want your Mac to get cleaned up. Step 4: After entering the desired option, go ahead and press on the Enter button. Step 5: After that, go ahead and try to restart your Mac once the automatic cleanup is done. This method of cleaning up your system junk is not the best way but you can still try it. Once that the cleanup process is done using this method, there is a chance that your system will start glitching. Because of this, you may need to make some corrections in authentication for you to get your application work properly. As what we have shown you, cleaning up the system junk file on your Mac is one of the most important things that you should do. This is because these files are actually eating up your storage space especially if they are already piled up. Not only that, it can also affect the performance of your Mac as it runs slower and slower. Because of this, there are ways for you to get rid of this junk out of your Mac. You can use Terminal for you to make a schedule cleaning on your Mac. However, it not that efficient when it comes to cleaning up your system junk. Lucky for you, we have the perfect solution for you. This is by using the iMyMac-Cleaner. This program will allow you to remove your system junks. This way, you have more space for storage on your Mac and as well as it will give its best performance when you are using it. In addition to that, the iMyMac Cleaner can also do several things that will surely be a great help to you and your Mac. It can help you with your cluttered files, your large and old files, your email attachments, and other files that you no longer need on your Mac. Now that you have the iMyMac Cleaner installed, then it is now up to you to make a regular cleaning on your Mac. This way, you will be able to maintain the life and health of your Mac, boost its speed performance, and gain more space for you to store new and important files and applications on your Mac. / Mac Cleaner / How to Clear System Junk on Mac?